Facebook shuts down page of PA chairman's party over photo of Arafat with a weapon. Facebook on Monday shut down the page of Palestinian Authority (PA) chairman Mahmoud Abbas's party Fatah, apparently over a picture of its former leader Yasser Arafat with a weapon. "We received a message that our page violated Facebook's regulations," Munir al-Jaghub, a media officer with Fatah and one of the page's administrators, told AFP. The accounts of the 12 administrators of the page, which according to Jaghub had 70,000 followers, were also suspended for 30 days. A photo of Arafat holding a rifle that belonged to an Israeli soldier abducted in the 1980s by Palestinian Arab terrorists in Beirut, that had been featured on the page, was attached to the message from Facebook. Standing next to Arafat is Mahmoud al-Alul, who was recently elected Fatah deputy chairman. Israel has asked Facebook to stop the online incitement by Palestinian Arabs, which is directly responsible for much of the terror wave of the past year. 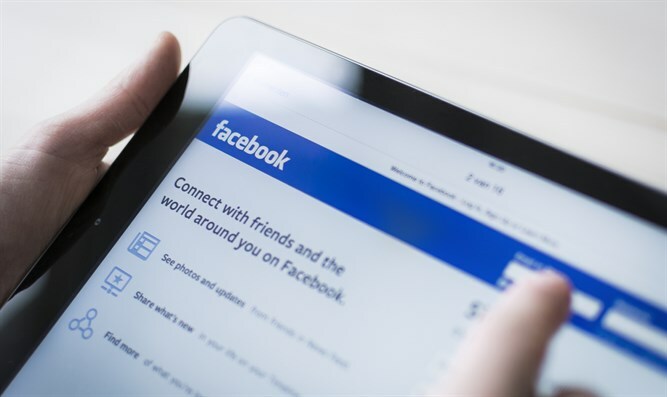 The Knesset last month advanced the so-called “Facebook Law” that would allow a court to order companies such as Facebook to remove material considered "incitement". This past year, Israel filed 158 requests to remove inciting content on Facebook, and 13 requests to YouTube, which is owned by Google. Around 95% of the requested content was removed from Facebook, while YouTube agreed to remove 80% of the content. Facebook has in the past removed accounts linked to terrorist groups such as Hamas, raising the ire of Hamas which accuses the social network of “collusion with the occupation”.